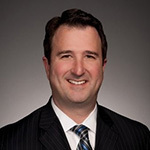 Prior to his current position, Faustino spent more than 14 years at Morningstar, where he was primarily in product leadership roles. It was while he was at Morningstar that he enrolled in Northwestern's Master of Science in Information Technology (MSIT) part-time program option. In fact, he learned so much from his experience that he recommended several of his Morningstar colleagues pursue the program as a way to enhance their skill set and bring added benefit to Morningstar as a whole. Faustino was elected by his peers to be on the student advisory board from 2012-2013. After he graduated, he was named to the program's Industry Advisory Board, a position he held through 2018. Faustino recently took a few minutes to look back on what appealed to him about MSIT and what he thinks makes the program a unique offering. When you decided to go through MSIT as a student, what was it about the program that appealed to you? 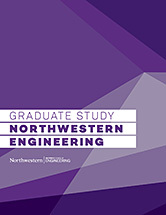 In addition to the reputation of the Northwestern’s McCormick School of Engineering, the mix of business and technology courses, management-level focus, and cohort structure of the program appealed to me. What do you think are the two or three most important things you learned from your time in MSIT? As I expected, one of the most important things I got out of the program was a foundational understanding of how to collaboratively work through technology issues. The MSIT program gives students tools they can apply to a variety of challenges, helping them ask intelligent questions and sanity-test responses. Surprising to me, one of the other huge benefits of the MSIT program was the development of soft-skills associated with communicating technology and business issues to diverse audiences. At many companies, the technology and business teams refer to ‘us’ and ‘them’ when working cross-functionally. The MSIT program gave me great insights into how to bridge that gap by listening empathetically to either group and gaining trust and buy-in as a result. You spent five years after graduating on the MSIT Industry Advisory Board. What other ways have you stayed connected with the program since graduating? I met some great friends through the program with whom I connect from time to time. I regularly receive — and accept — LinkedIn invitations from current or past MSIT students. When I made a career transition, the head of the MSIT advisory board, Kevin Glynn, gave me some great advice that I’ve shared with others. Participating in the MSIT program gives students access to a lifetime of friendships and support. You obviously have a strong relationship and a variety of experiences interacting with the program, so from your perspective, what do you think differentiates Northwestern's MSIT program? The quality and diversity of the MSIT’s faculty who support its unique focus is a huge differentiator. It’s not a deep hands-on technical degree and it’s not a high-level business degree. The MSIT is a pragmatic hybrid of technology and business education that helps existing and aspiring managers develop technology leadership capabilities and acumen. Because I completed the program, I know the benefits it brings to both students and companies that sponsor employees completing it. I worked for Morningstar in Chicago while completing the program and shortly thereafter. I encouraged several Morningstar co-worker friends to apply, knowing the company would benefit, as would my friends. The selection of a graduate program is a big decision. As technology becomes more ubiquitous, a program like Northwestern's MSIT provides foundational technical education along with pragmatic business context will be a great choice for many.